Courchevel is a World class ski resort with immaculate pistes and stunning scenery. Spread over four levels from Le Praz, 1300, through Courchevel Village, 1550, Moriond, 1650, up to the largest resort of 1850. As a favourite of the well-heeled of Europe and Russia, 1850 boasts a wide selection of fine hotels, designer boutiques, top class restaurants and a buzzing nightlife. The skiing and snowboarding terrain in the Valley is superb. 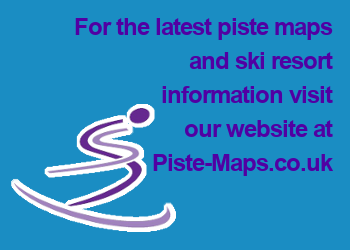 Expect to find off piste open treeless powder bowls, steep chutes, cliff drops, mogul runs and many long wide intermediate groomed cruising trails and gentle beginner slopes all serviced by an efficient lift system. Geneva Airport: 180km / 112 miles. Lyon Airport: 178km / 111 miles. Chambèry Airport: 102km / 64 miles. Moûtiers railway station (Eurostar /Snow Train): 25km / 15 miles. Bus, train, taxi services from Chambèry. Air, bus and taxi services from Geneva. Courchevel: 1,300 - 2,740 (4,270 - 8,990ft). Trois Vallées: 1,300 - 3,200m (4,270 - 10,500ft). Courchevel: 67 - 1 Cable Car, 9 gondolas, 20 chairlifts, 29 draglifts. Access to 120 more in The Three Valleys. Marked Pistes: Courchevel: 150 km, The Three Valleys: 600km (total). The Three Valleys: 27 % beginner, 61% intermediate, 12% advanced. Huge ski area of Courchevel, Meribel and Val Thorens. Can be busy at peak times. Courchevel 1850 and 1650 have the liveliest nightlife out of the four villages. There are pubs, crowded après ski bars, piano bars and nightclubs that don’t close until 5am every morning. In Courchevel 1850 the Milk Pub attracts an English crowd with regular happy hours and live music performances; the Jump Bar is very popular for après drinks serving cold beers and cocktails. The La Grange and Les Caves nightclubs stay open all night with DJ’s dancing and theme nights. In Courchevel 1650 MC Game’s is a family friendly sports bar with pool tables and electronic games. Go with a group to Le Maracas tapas bar for a good selection of wines, food and live music. Other outdoor activities include snow shoeing, hiking tours, winter walking tracks and ice skating. The tobogganing run originating in 1850 is 2 kilometres in length; it is fast and quite steep ending in 1550. It is illuminated in the evenings until 7.30pm and is free with a valid ski pass - although you will need to hire a tobogganing, which are readily available from the ski hire shops at the both the top and bottom of the toboggan run. Indoor activities include watching a movie at the cinema, getting a beauty or massage treatment, going bowling or indoor rock climbing.